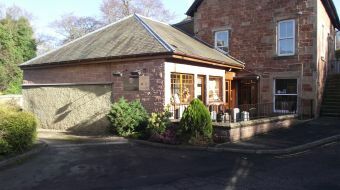 Situated in Melrose at the heart of the Scottish Borders, Thomas Brown and Sons Ltd. have been run by the Brown family since 1848. In using our knowledge we aim to give you guidance and assurance that we provide a service tailored to suit your exact requirements that will ease the burden of your loss. We often get asked "Why did you become a funeral director? ", "why do we do what we do?" Running a family funeral directors is a challenging job, one that has become a "way of life" for us, but one that is very humbling and rewarding in a sense of being able to help someone at one of the most difficult times in their life. Thomas Brown & Sons originally traded from Nisbet near Jedburgh, before moving to Melrose in 1848.